This is a follow-up class to Serger II. 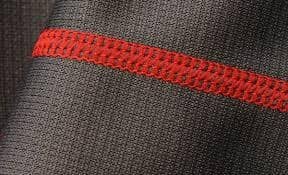 Additional techniques include 2-thread stitches, wrapped stitch, flat lock and coverstitch (if your machine has this capability). By now, you should be able to thread your machine fairly easily. These new stitches round out your knowledge of the serger! Prerequisite – Serger I and II. All serger makes and models welcome.